The art of kintsugi, or joining with gold, conveys the philosophy of valuing the imperfect. 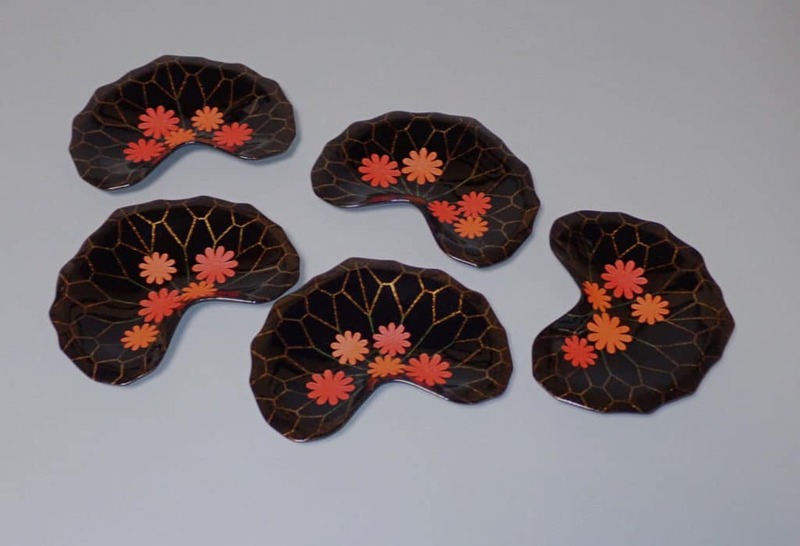 Using a paste made from the sap of the lacquer tree or urushi, artists can restore a broken piece of ceramic, while strengthening it against water and high temperatures. Cracks are then sprinkled with powdered gold (or other precious metals), highlighting the repair. On this course, students will learn: the philosophy behind this craft, embracing the beauty of imperfection highlighted by the repair rather than intruding upon or hiding the original work, about methods and materials including how to safely handle urushi, the traditional natural lacquer, managing the drying stages, how to prepare and clean the ceramics to be repaired, to reattach pieces with urushi and how to apply gold powder. As this course requires drying time, you will also explore decorating a black panel with gold powder, and decorate a pair of chopsticks with a coat of urushi. Kiyomi Okukubo graduated from the Graduate School of Fine Arts at the Tokyo National University of Fine Arts and Music in 1984, majoring in urushi lacquering. In 2003 she was selected as a trainee of the Japanese Government Overseas Study Program for Artists and spent a year in London attached to the V&A. She regularly submits her works to various prestigious exhibitions, winning First Prize at events in 1985, 1986 and 1990. Kiyomi is also a member of the prestigious Japanese Kogei Association, dedicated to the protection and development of Japan’s intangible cultural heritage.